Here’s a sketch commission I finished last week for Jess Power and her fan site Benedict Cumberbatch Online. Benedict has been wowing TV viewers here in the UK with his portrayal of Sherlock Holmes in the three feature length episodes that have run on BBC1 on Sunday nights. Its been a great mini series and I’m hoping that more will be commissioned soon. If the reviews have anything to say on the matter it will already have been done. 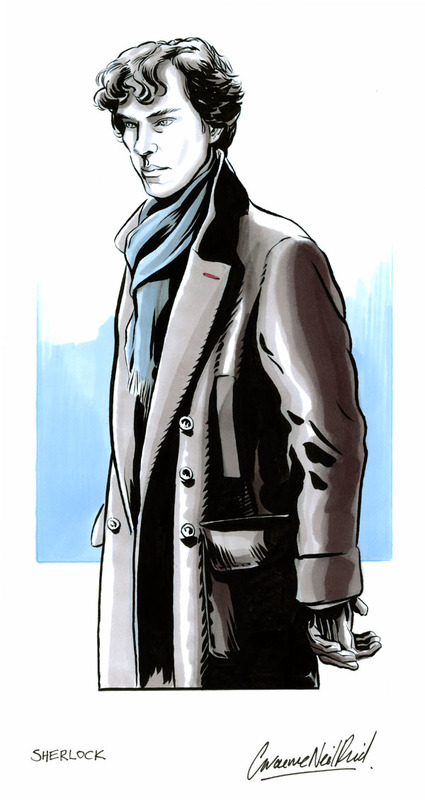 Jess tells me that she is running a competition on the site to win this sketch so for those with a love of Sherlock Holmes, Benedict Cumberbatch or indeed my sketches head to http://bc-online.co.uk/ and enter. The competition runs until mid-September.